11-year old Viktoria Ivanova, from Irkutsk, is waiting to travel to India for a heart transplant at Malar Fortis hospital in Chennai. She will be the second Russian child operated on by renowned cardiothoracic and transplant surgeon, Doctor K R Balakrishnan. Her case has prompted Minzdrav to sign a contract with Fortis for government allocated quotas for treatment. Viktoria (Vika) Ivanova’s story is unfolding and, after years of suffering, a happy ending appears likely. The 11- year old is suffering from restrictive cardiomyopathy, a rare form of cardiomyopathy in which the heart is unable to pump blood properly. Vika’s heart is working only at 39 per cent of its capacity. Most of its strength comes from an artificial cardiac pacemaker installed last year to help regulate her heart beats. Since she was diagnosed with this ailment, Vika is unable to go outside her home or meet friends since any infection can be fatal for her. She cannot even move from one room to another; she is too weak. A new heart will give Vika a chance to live. However, her family’s journey has not been easy. The hand of fate appears to have guided them. Vika was diagnosed with cardiac failure two years ago. Since then, she has been in hospitals in Russia and abroad. A year ago, her family was informed that a heart transplant is the only way for her to survive. Since then, the family has spent time writing letters, collecting documents and fighting bureaucracy. The bureaucracy has been the most painful; while Vika’s application for a federal quota for the operation was gathering dust at the Ministry of Health, (Minzdrav), Vika’s time was running out. Even after the need for a transplant was confirmed and attested by the health ministry, nothing could be done for Vika in Russia, where such operation are conducted only on adults. Treatment abroad was the only option. However, bureaucratic hurdles continued to delay the quota allocation for the child. As Vika’s condition deteriorated, her family started looking for treatment options abroad on their own. European clinics were extremely expensive. Vika’s family is supported by her father, who works as a supervisor at a construction site. Her mother, Julia Ivanova had to leave her job as the child requires constant care. Other clinics refused to take Vika on different grounds. At the end of December 2014 another Russian child, two-year old Gleb Kudriavtcev was operated on in Chennai by Dr K R Balakrishnan, Director of Cardiac Sciences at Fortis Malar hospital. 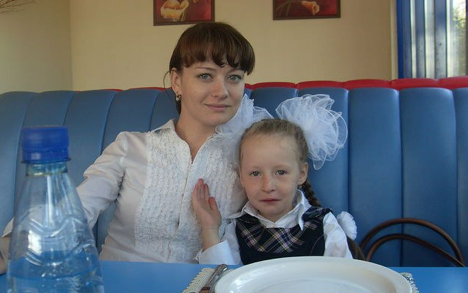 Ivanova learned the story of little Gleb and contacted his family. Since Gleb’s operation in India was funded by a Russian charity Pomogi.Org , Julia contacted them and got the reference of MedInd, a Moscow-based company representing Indian hospitals in Russia and helping Russian patients get treatment in India. Fortis hospital in Chennai agreed to operate on Vika, but the family had to face bureaucratic hurdles all over again. The letters sent from Fortis hospital and from Ivanova to Minzdrav received a curt response: since the government allocates the funds for treatment, it would decide where the girl would be operated. Meanwhile, time was running out for Vika. The family started selling their possessions and raising money from the public. Within some months they collected about US$ 78,644/-, but this amount is less than 30 per cent of what Vika’s family requires for the trip to India and the transplant surgery. The total bill exceeds US$275, 000/- which includes the heart transplant itself, transportation of the organ across India from a donor to the patient and the hospital bills, since Vika will have to stay in hospital for several months before and after the operation. Russian authorities were silent until Alen Kork, a journalist from Irkutsk who broke the story about Vika in the local media in February, got a chance to tell the story to Russian President Vladimir Putin at a media forum in St-Petersburg. Kork travelled to the forum at the end of April after winning a media competition. “I went to St-Petersburg with the firm idea to convey the story of Vika to Vladimir Putin since I knew that we would be meeting the president at the forum. I am a Buddhist so I believe in concentrating energy on a goal. I was lucky to get a chance to deliver Vika’s plight to the president,” she told RIR. A few hours after Kork requested Putin to help Vika, the girl’s mother received a call from the President’s Administration and Minzdrav. Within days Minzdrav announced that it would sign a contract with the Indian hospital where Vika would be operated. “We are waiting for the agreement with Minzdrav. It is being couriered from Moscow to Irkutsk. If everything is fine, we may fly to India on 15th May or so,” Ivanova told RIR over the phone. “We don’t have much knowledge about India, but for us the main thing right now is the “doctor’s hands”. It could be any other country but we have read and heard so many positive things about Doctor Balakrishnan. Also, MedInd is taking good care of us here and, we believe, will continue doing so in India. So we are not afraid of anything,” she added. Anna Verbina, head of MedInd, told RIR, “We are fully prepared to receive Vika in India. Earlier, in April, Russian health authorities and cardiac doctors have visited Chennai to inspect Malar Fortis hospital before taking a final call on Vika’s operation,” Verbina said. Dr. K. G. Suresh Rao, Head of Cardiac Anaesthesia & Cardiac Critical Care at Fortis Malar, Chennai, confirmed the Russian delegation’s visit. “They came and inspected the hospital, they were happy to see the facilities,” he told RIR. Fortis Malar hospital conducts about 50-60 heart transplants a year while the availability of donors is higher. Last year there were 165 donors. “However, in the case of children, it is more difficult to get donors, since a child requires a donor of approximately the same age and body mass,” Dr. Rao said. However inspiring Vika’s story is, there are many small children in Russia fighting big battles with disease and bureaucratic hurdles preventing them from getting the treatment they require. According to Verbina, heart transplant cannot be performed on children in Russia since there is no law regulating the sourcing of organs from children (a person can become a donor only in case of brain death, ascertained according to certain medical criteria which is applied only to adults, not to minors). “The legislation on this has been stuck in Parliament for years,” Verbina said. “But now with more and more cases of children getting transplants abroad being publicized, the law may be passed faster, I hope”. Another positive outcome from Vika’s story, Verbina said, is that the Indian Fortis group and the Russian Minzdrav have signed a contract by which Russia will be sending patients for treatment in India within government allocated quotas, the same way it is currently doing with some European clinics. This not only gives many Russian patients hope, but lays the first brick in potential foundation for cooperation between Russia and India in the medical sphere.